"RUDN Journal of Philosophy” a peer-reviewed academic journal. 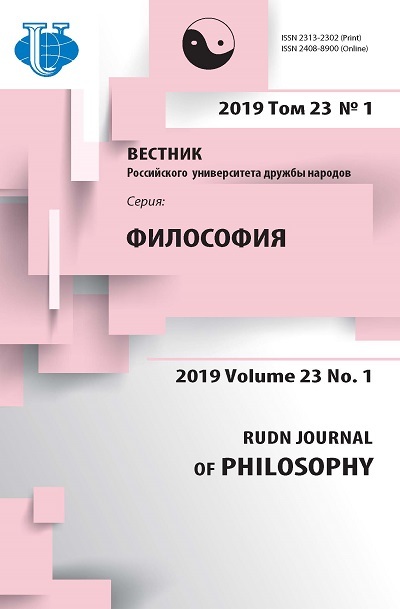 For many years, the journal has been a space to feature the best research of the leading Russian and international scholars in the fields of History of Philosophy, Ontology, Theory of Knowledge, Social Philosophy and other areas. Our editorial policy also involves a strong support of young talented scientists throughout the world. 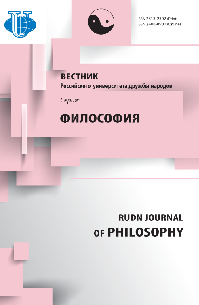 The unique experience and traditions of the school of philosophical thought of RUDN University are embodied in philosophical comparativism, which is the top-priority research area of the journal. Oberhammer G., Pskhu R.V., Danilova N.N. Kolomiets G.G., Parusimova Y.V., Kolesnikova I.V.